On the 5th (Sun), snap pictures at Bandra-Worli Sea Link and then take a memorable drive along Marine Drive. Here are some ideas for day two: get engrossed in the history at Chhatrapati Shivaji Maharaj Vastu Sangrahalaya, then appreciate the history behind Gateway of India, then look for gifts at Bungalow Eight, and finally admire the landmark architecture of Chhatrapati Shivaji Terminus. 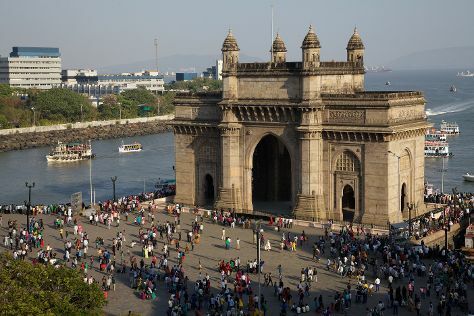 To find more things to do, photos, reviews, and more tourist information, read Mumbai trip planning app . Dehradun to Mumbai is an approximately 4.5-hour flight. You can also drive; or take a bus. In May in Mumbai, expect temperatures between 39°C during the day and 31°C at night. Finish your sightseeing early on the 6th (Mon) to allow enough time to drive to Shirdi. For photos, reviews, maps, and more tourist information, go to the Shirdi trip itinerary maker website . Drive from Mumbai to Shirdi in 3.5 hours. Alternatively, you can take a train; or take a bus. Traveling from Mumbai in May, you will find days in Shirdi are somewhat warmer (47°C), and nights are about the same (30°C). On the 7th (Tue), wrap the sightseeing up by early afternoon so you can travel back home.